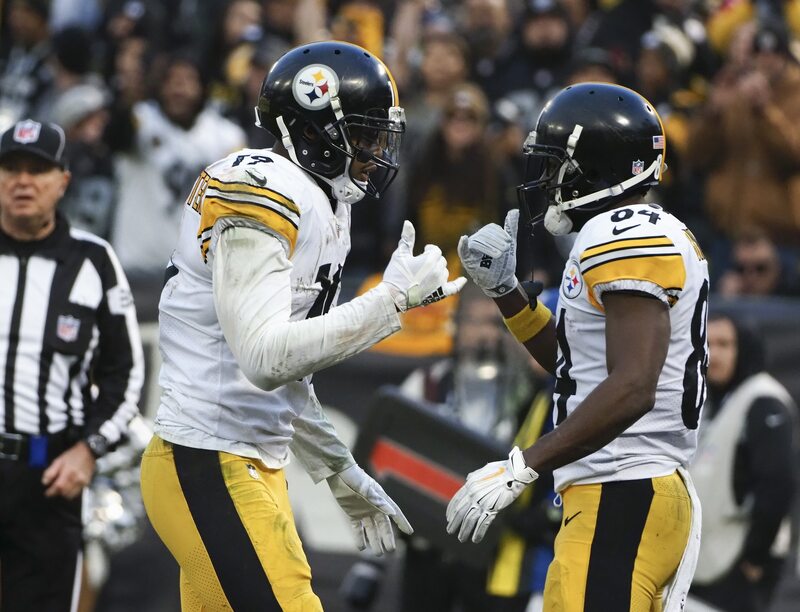 There has been much buzz surrounding Pittsburgh Steelers wide receiver Antonio Brown since he was benched in Week 17. The receiver himself has not been shy to take to his social media and share various posts and cryptic messages about his future. Though, Brown’s latest trip to social media found him sending his congratulations and best wishes to his fellow teammates who will be playing in the 2019 Pro Bowl. This is a nice high road that Brown has taken considering he and the Steelers’ organization are not exactly on friendly terms. Regardless, Brown seems genuine in wishing the six Steelers who were selected to the Pro Bowl his regards as he roots for an AFC win. One Steeler in particular who seems to be having the time of his life at the Pro Bowl festivities is wideout JuJu Smith-Schuster. Smith-Shuster’s social media is busting at the seams with live footage and up-to-date coverage of his daily escapades. Regarding Brown, this is hardly the last we will hear from him during the weeks leading up to the new league year. It is highly anticipated that the Steelers will look to place Brown on the trade block in March.